Fixed breast adenocarcinoma cells (MCF7 cell line) acquired in PBS using AC mode. 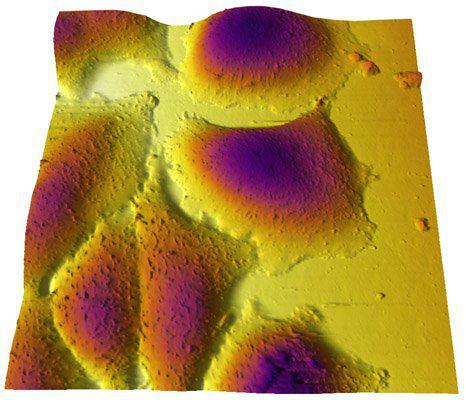 The image is of a fairly continuous monolayer of cells. The cell margins between neighboring cells are clearly visible. 90 µm scan.